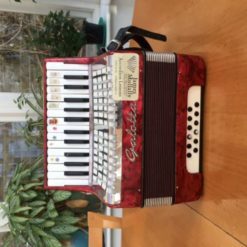 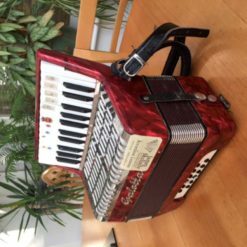 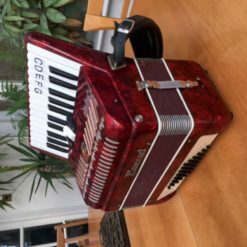 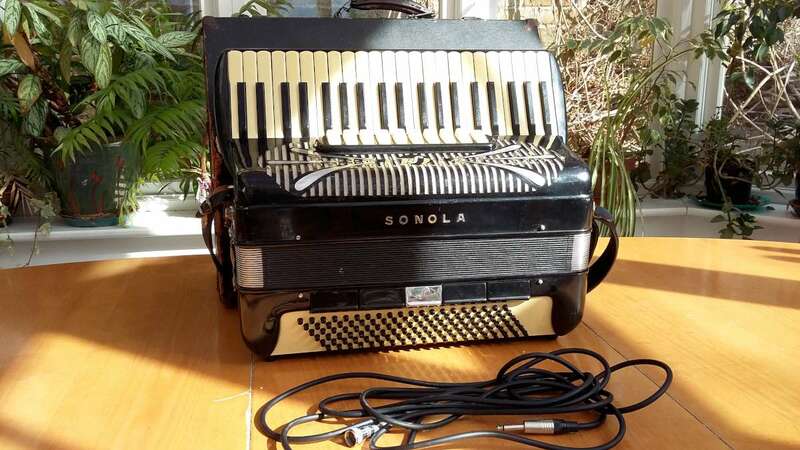 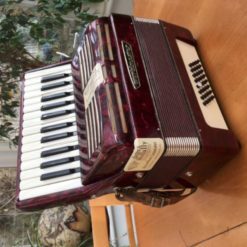 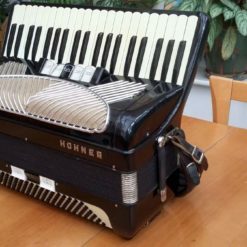 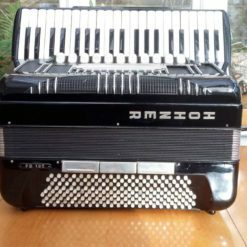 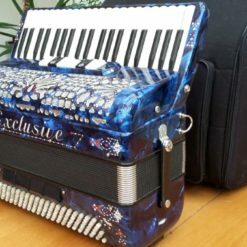 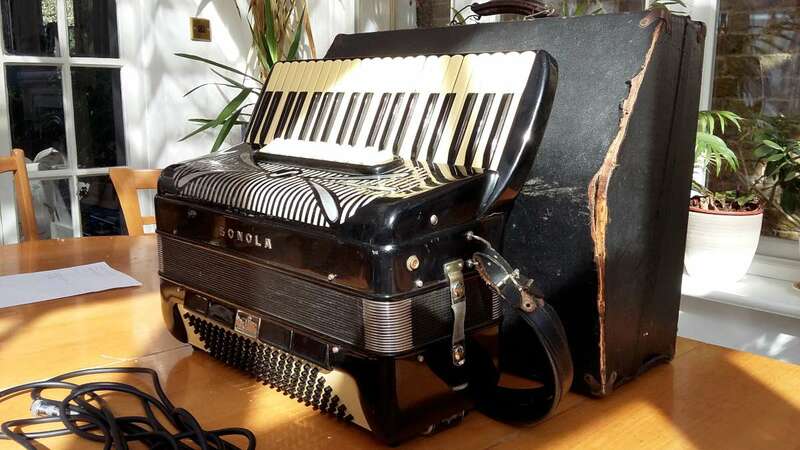 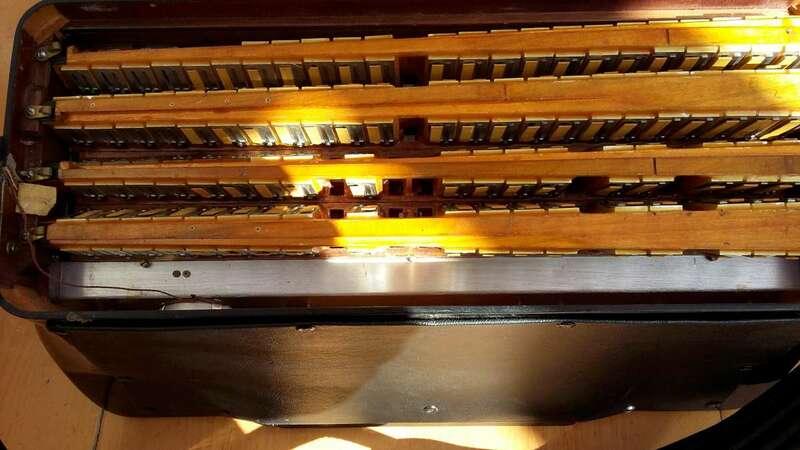 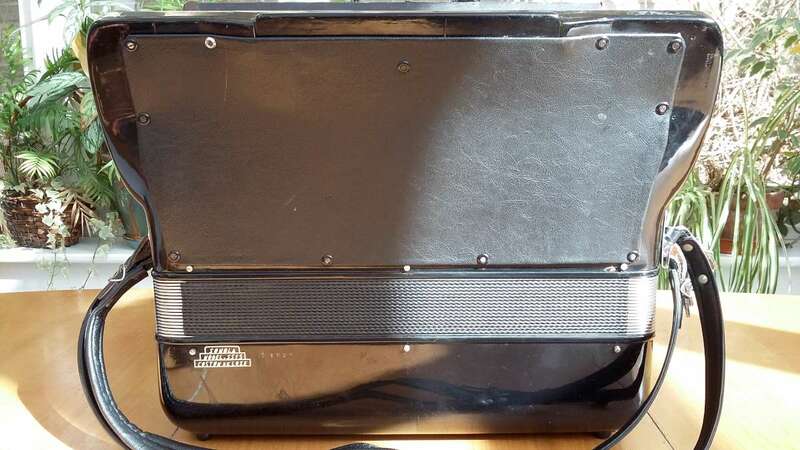 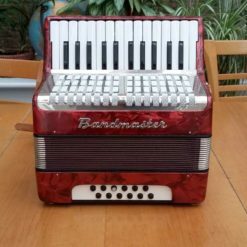 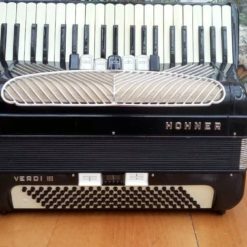 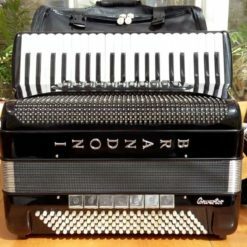 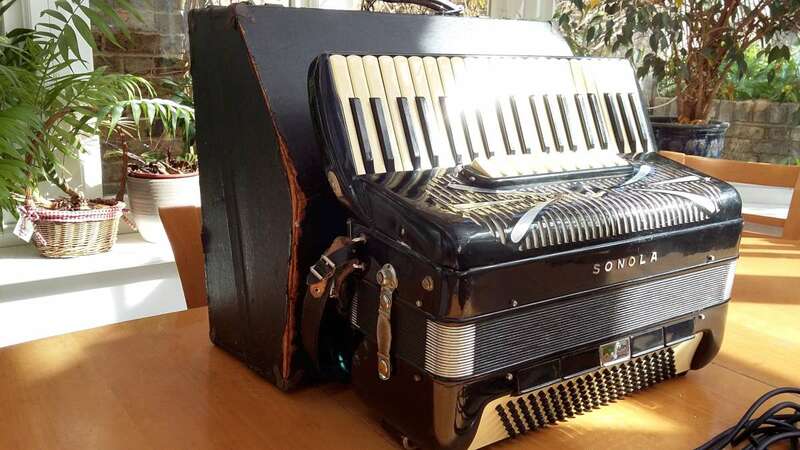 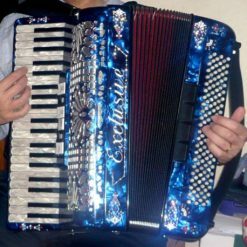 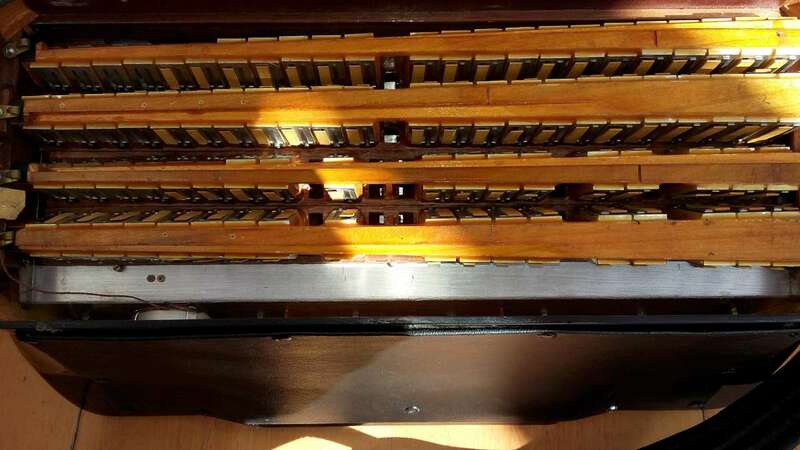 Sonola – 41 key/120 Bass Piano Accordion – (Used) £1650 as is or £1850 in best condition. 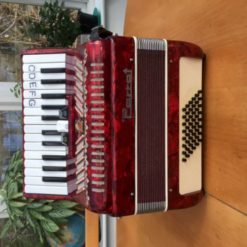 Piano Accordion – Standard bass “American Swing”-tuned. 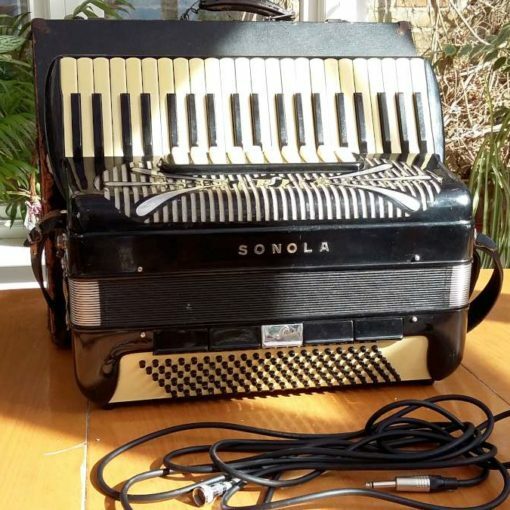 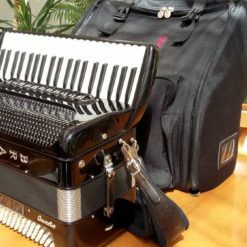 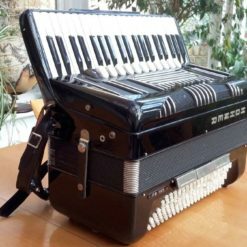 An attractive classic Sonola accordion from Castelfidardo. 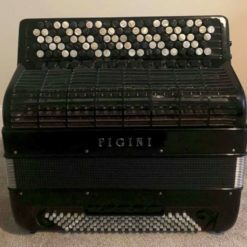 This accordion makes a gorgeous buttery sound in spite of not being equipped with a cassotto tone chamber and probably dates to the 1950s/60s. 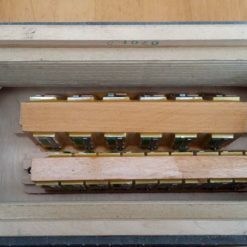 Its beautifully responsive handmade “a mano” reeds are a delight and typical of the period. 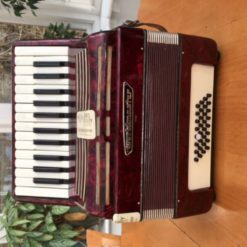 It is in fairly good condition but would need about £200 spent on it to make it tip top. 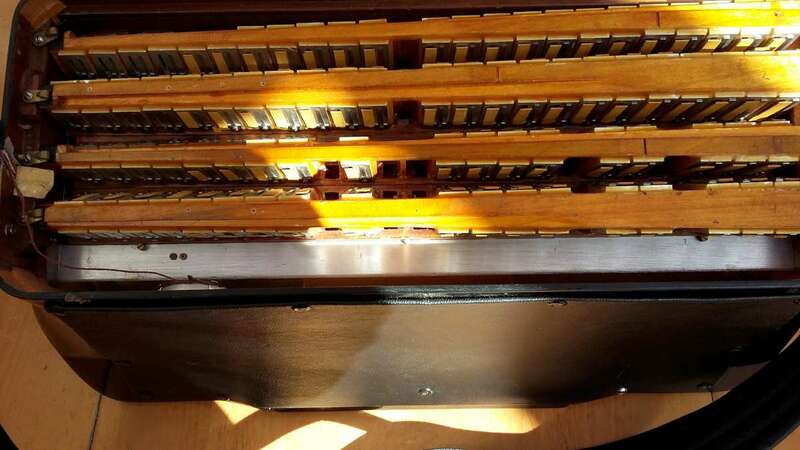 It was certainly a professional quality instrument and the reeds are of the best handmade “a mano” variety and the keyboard is light and fast. 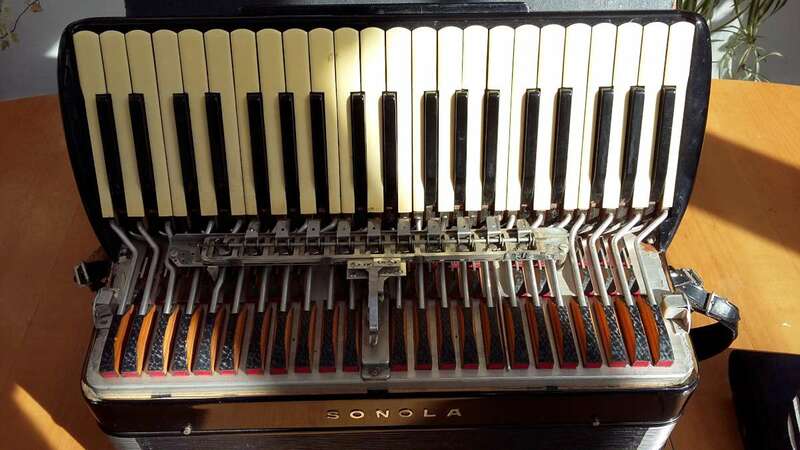 The reed configuration of the right hand manual is 16′,8′, 8′, 4′. 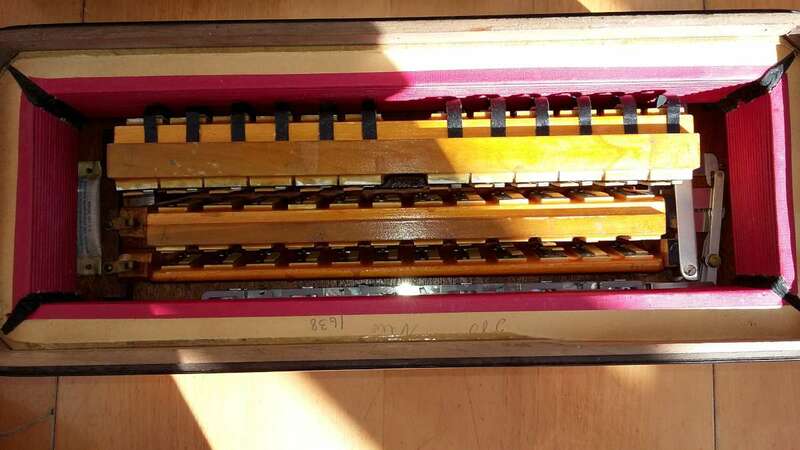 It has “American swing” tuning which means the two sets of 8′ reeds are almost straight giving a slightly fat sound rather than an wave or slow vibrato.It has an internal mic too which despite being quite old still works.Comes with original hard case which has seen better days. 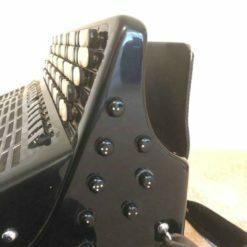 Please email us at info@zzmusic.uk for a no-obligation-to-buy test drive. 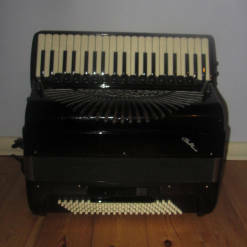 PRICE: £1650 as is or £1850 in top condition.